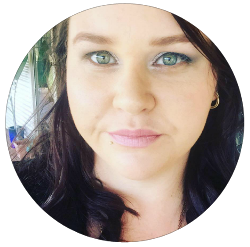 I placed my order through the Zoeva website and my brushes arrived around two weeks later. I must admit the longest two weeks ever as I was hanging out to receive them. 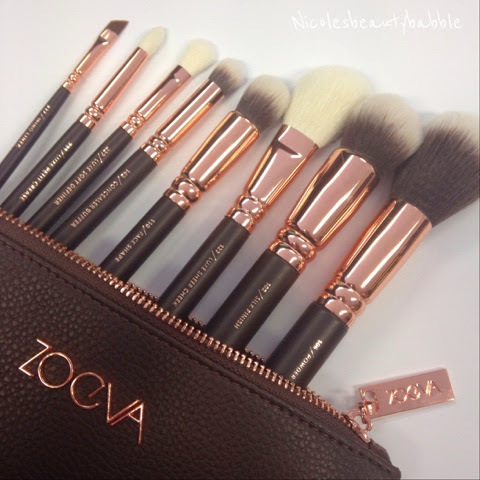 The brush set comes with 8 brushes and a lovely matching bag. 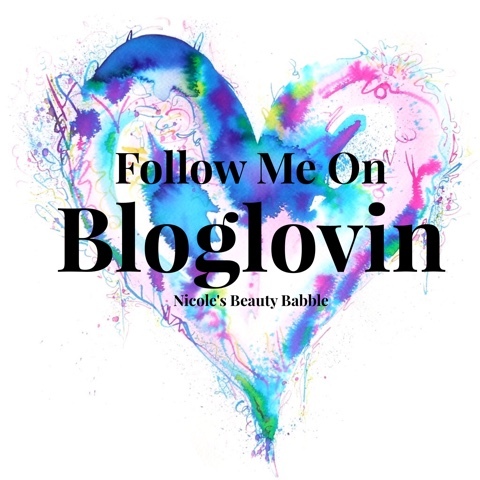 The bag and brushes are of great quality and I have read in other peoples reviews that the brushes are comparable to the oh so famous Sigma brushes. Now I cannot tell you how similar they are because unfortunately I do not own any. My first impression with these brushes are that they are worth the money. They are super soft, easy to use, labelled with what they are for (which I love on a brush even if I don't actually use it for that haha) and also they are so pretty!!! The range in the set is great and my favourite's would have to be the 127/ Luxe Sheer Cheek Brush, 142/ Concealer Buffer Brush, 231/ Luxe Petit Crease Brush and the 317/ Wing Liner Brush. 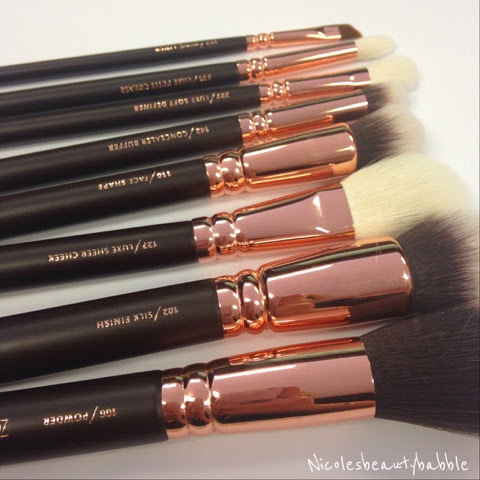 Have you been looking at these brushes or own a set what are your thoughts? 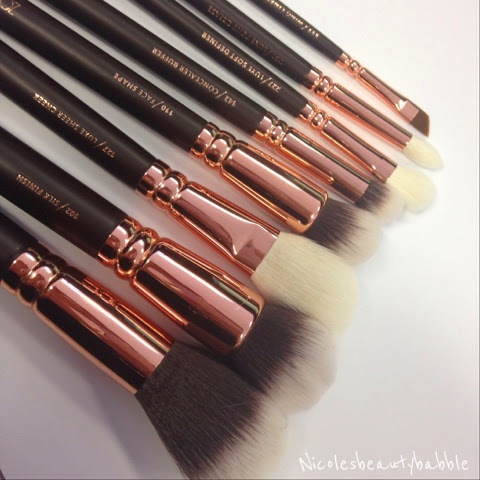 My favourite brushes since I got them! the brushes are so pretty !